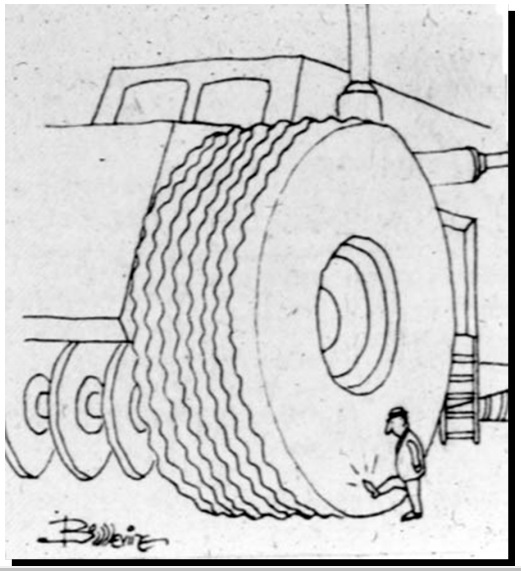 Home » Forum » Equipment & Safety » Vehicles » Tire Is Square? - Pound It Round ! Bane of my life - tires. Got maybe 30K on these. 4 new ones this afternoon. Re: Tire Is Square? - Pound It Round ! might need an alignment with that wear pattern!! On truck or trailer? looks like dragged. Looks like you need new shocks along with an alignment. Just put a new set of bfg duelers on my truck , put 52,000 miles on the last set . 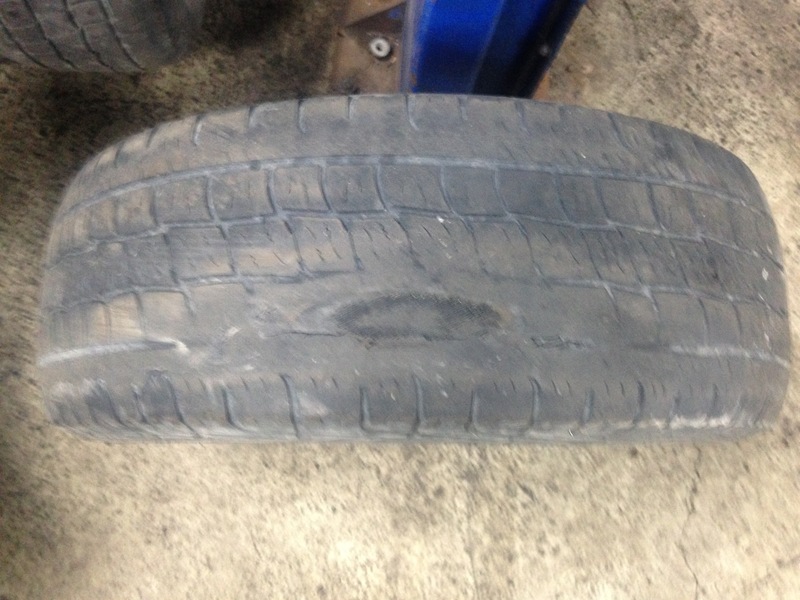 Two of them would have passed inspection ( we have annual safety inspections here) no cords showing on any of them , and tread above the wear bars on two. How in the name of Vulcan (the Greek god of rubber) can a tire wear like that? That was on the rear, driver's side. It was a simple shifted/broken belt that I continued to drive on for about 6 weeks while getting thru the madness of Christmas house closings. Vehicle is just under 6,000 pounds, and between the twisty 2 lane roads, washed out gravel roads, and the fact that the cities of Rochester and Rochester Hills require all their streets - including residential development roads and driveways be made of concrete - which tears the eff out of tires. Yukon is an overgrown station wagon and also has the autoride suspension, shocks are just fine, btw. Last edited by SmallTownGuy; 01-17-2019 at 09:59 PM.